With an estimated 1 million drones unwrapped over the holidays, it's no wonder the government isn't dragging its feet implementing stricter standards for amateur fliers. After all, over the last year they've become a much bigger problem and more dangerous threat to air traffic, the military, and unsuspecting firefighters. So what exactly needs to happen to ensure that super-cool quadcopter you got for Christmas doesn't get you arrested? 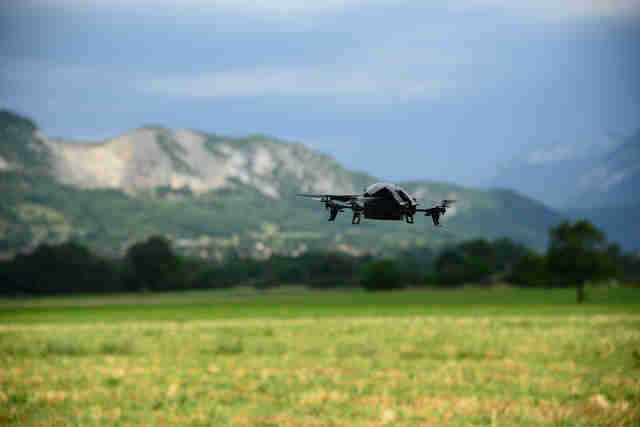 I took a look at the Federal Aviation Administration's new guidelines for unmanned aircraft systems and determined the dos and don'ts. 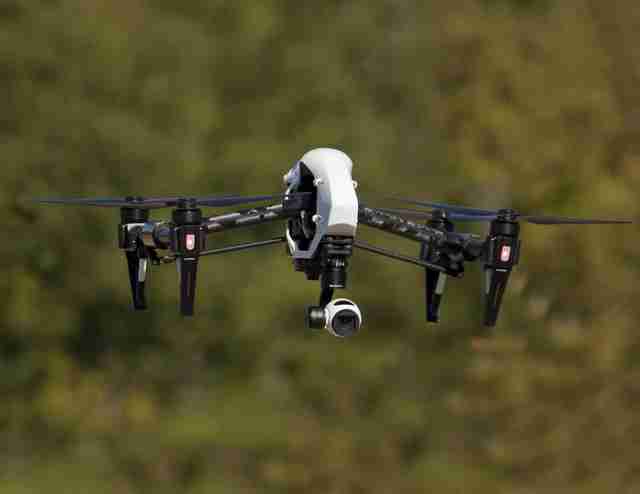 The FAA's new guidelines, which literally just went into effect on December 21st, 2015, require that anyone with a drone register their craft, but only if it weighs more than half a pound. The majority of toy drones under $100 weigh less than that, but know that if you ever plan on strapping a camera to one of those, the added weight is counted toward the minimum. 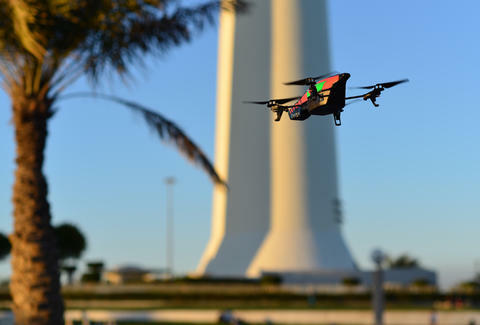 If your drone does exceed the weight minimum, you have to register before you fly. It'll cost you $5, but it's super simple and done entirely online. However, if you got your hands on a megadrone that tips the scales at over 55lb, first of all, compensating much? And second of all, you actually need to register it by submitting special paperwork. And I know what you're thinking -- what's the big deal if I just skip it? Well, should it fall from the sky unregistered, you could face criminal charges, pay a fine up to $250,000, and spend three years in jail. Once you've registered you need to legibly print your new registration number somewhere on the craft. If you don't feel like marking up your spankin'-new toy with a Sharpie, scrawl the number on a sticker, or even write it on a piece of paper hidden inside the battery compartment. If you're knee-deep in drones, you only need to register one -- but make sure the number is on each of them. If law enforcement ever asks you for proof you're allowed to fly your drone, you'll need to produce a registration form. However, you don't need to print out a hard copy and carry it wherever you go, since an electronic version pulled up on your phone via the FAA website works just as well. You're fine to fly for a few years once you register, but you need to renew every 36 months, which'll cost you a cool $5 each time. Even if your flying machine is capable of whirring up into the stratosphere, don't send it above the FAA's 400ft flight ceiling. If that seems low, it's not -- that's roughly the height of a 40-story high-rise. 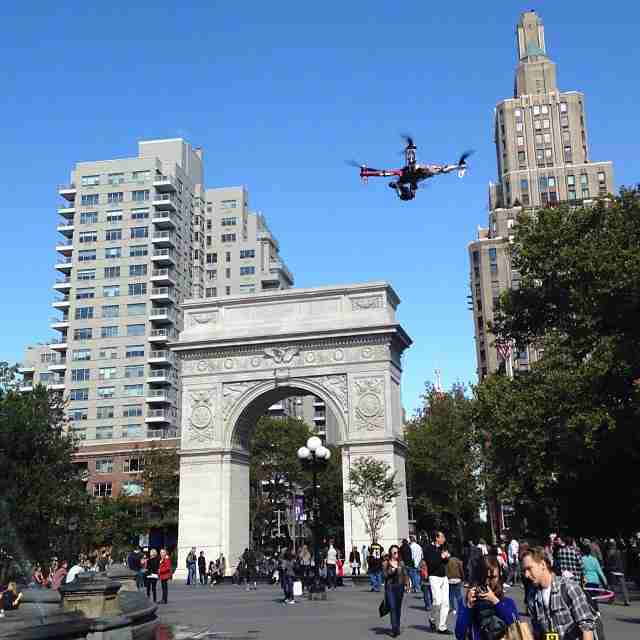 Because the world is crazy, unsanctioned drones flying above a big crowd pose quite a threat. So to prevent yours from being blown out of the sky or landing you in jail, keep it far from stadiums or special events with temporary flight restrictions. Oh, and airports. Definitely stay far, far away from airports. Joe McGauley is a senior writer for Thrillist. He's dreading the imminent existence of drone superhighways.